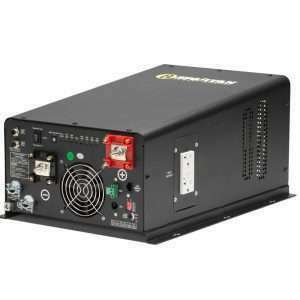 There are loads of articles available online that dissect the difference between what they call pure sine wave power inverters and modified sine wave power inverters. For many users, they just want to know if they can choose a less expensive modified sine wave power inverter and still run their devices. This article takes a look at the basics. All power inverters convert DC power (which is power stored in batteries) to AC power, which is the power supplied by the electric company and fed to your home. Electronic devices need AC power to operate, but power inverters generally output power in two forms, modified sine wave vs. pure sine wave. get the power they need to operate, but when it comes to devices like fans, TV’s, radios and lights, they will tend to buzz, as they are running a bit “hotter,” due to the way power flows to them. The cons of running your devices on modified sine wave power is that they will run less efficiently, which will commonly result in the device or appliance not running properly, interference or a “buzz”. For devices that aren’t sensitive, like a vacuum or water pump, it might not matter to you at all. 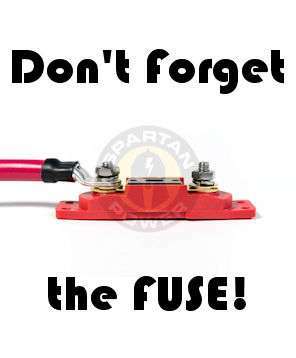 They will use a little more wattage and make a little more noise. But, for devices that need an even flow of energy to function properly, like variable-speed power tools, you are going to get all or nothing. No matter how tightly or softly you pull on the trigger to your power drill, it is going to be full-speed or off. This doesn’t mean that a blender with different settings can’t be used at a high or low setting; it certainly can. But because they are getting energy that is less efficient, the devices you run on Modified Sine Wave power can wear out sooner than if they were constantly operating via pure sine wave power, like that supplied in homes. The main “pro” in running your devices on modified sine wave power is that the modified sine wave power inverter costs you less initially. When considering pure sine wave DC to AC inverters vs. modified sine wave DC to AC inverters, the conversation can lead you into a geeky look into a side of electricity and power you never cared to see. 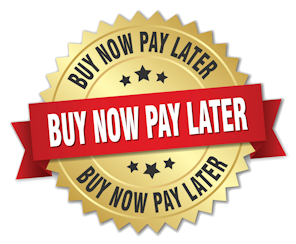 However, consider the types of devices you’re running and weigh your options accordingly. 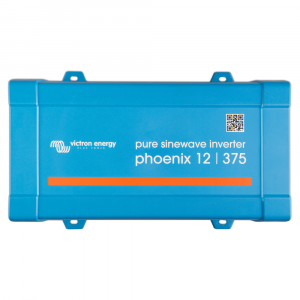 If you have a device that you are unsure of whether or not it requires a pure sine wave inverter, give us a call. 5000 watt inverter runs entire house, saves $1000 in bills! 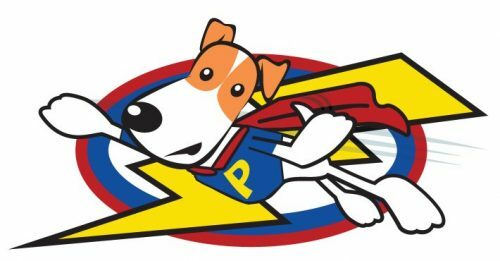 If you have questions about power inverters and how you can power your home, RV, truck, boat, etc., please don’t hesitate to call us today and speak with one of our inverter experts at 866-419-2616. I use my Aims 5000 watt inverter to power my entire house, with a combination of other systems. My Aims power inverter has reduced my electric bill to less than half of what it used to be. I use a bank of 10 US batteries to power my inverter. In addition to the “house bank”, I also run an extra bank of 4 12v marine batteries in my vehicle. This way, I can take advantage of the wasted energy produced on my commute to work and back home each day, and also any other trips that I make. With the rising cost of fuel I feel that I must make my money work for me and waste must be eliminated. 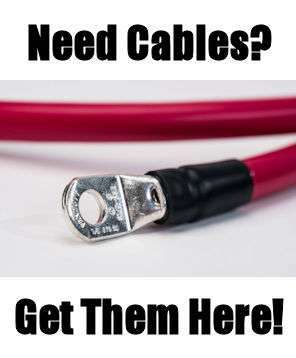 I used 4/0 cables and welder quick connects to allow me to plug my vehicle into my house when I get home in the evening. Currently I have only been able to afford 1 Evergreen 102 watt solar panel, to charge my house bank, but plan to add 2 more panels and a wind generator to complete my setup. I run a double redundancy on all my main systems, HVAC. I eliminated my 240v systems with the exception of the central AC, which I use a 5000 watt 110/240 transformer to operate the 1 1/2 ton condensing unit of my home. My Aims 5000 has no problem running it, although it rarely runs because I zone out the AC duties to smaller window units. To keep my demand low I use a Direct Logic PLC as a demand monitoring load shedding system, to keep non essential loads off during demand periods. This is also helpful because the program I wrote makes sure you’re not overtaxing my inverter. 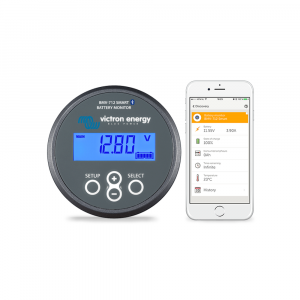 A combination of X10 motion sensors, photocell, outside air temp sensors and demand feedback have allowed me to customize a logic program, that allows me to save the maximum amount of energy and is custom to my life. Without my Aims power inverter, this is still possible, but not affordable, as anybody who has shopped for a large wattage inverter can tell you. I thought I was going to have problems with the modified sine wave and some of my sensitive electronics, but in every instance except one, a simple 6 outlet extension with a 1:1 isolation transformer took care of the noise on my cordless phone and the slight buzz on my audio system. I estimate my saving on electric at close to $1000.00 a year, which means that my inverter is one of the only purchases I have made that has already paid itself off and continues to put money into my pocket everyday! Now that’s what I call Freedom, thanks Aims, thanks Inverters R Us! 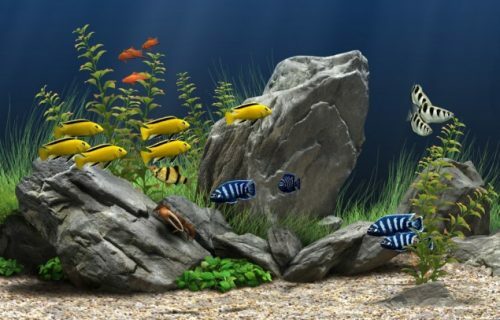 This is a continuation from the article, Save Aquariums in a Power Outage: Keep Fish and Reptile Pets Safe with a Power Inverter (Part 1). Doing some initial research, my wife and I found that buying a power inverter to keep our reptile and fish devices running during a power outage was the right choice. Now came the challenging part: deciding which power inverter would fit our needs. To our surprise, there were loads of options to consider when buying a power inverter for our apartment. Most importantly, we had to consider budget and output ability. Furthermore, we found out there are two main types of power inverters: Modified Sine Wave and Pure Sine Wave. Our first concern was price. We had quite a bit of money invested in our pets and their habitats, so if we were taking a proactive step to keep them safe, we were willing to spend a little money on peace of mind. However, we couldn’t justify making many other sacrifices in order to afford something we, hopefully, would never have to use. For our needs, a sufficient power inverter to run all of our pets’ devices looked to run between about $150 and $1,500, which was quite the range. Next, because we were most concerned with running our lizard and fish devices and not the rest of the devices in our apartment, we were happy with a power inverter that would run about 800 watts easily. After doing our research, we were confident that a 1000-watt inverter would run all the devices efficiently without any hiccups. Finally, we had to look into the difference between Modified Sine Wave Power Inverters and Pure Sine Wave Power Inverters. For a brief explanation on the difference, I found this video to be helpful. In short, a Modified Sine Wave Power Inverter will run most devices without any issue. However, the type of power provided is not identical to the power that comes out of the power outlets in homes. I’m no expert in this area, but I found that some devices (such as ones with varying power levels) can have difficulty running from a Modified Sine Wave Power Inverter. A Pure Sine Wave Power Inverter, on the other hand, provides power that is identical to the power that comes out of common power outlets in homes. 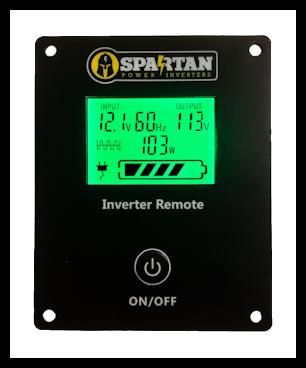 After doing some research, we felt more confident in the capability of the Pure Sine Power Inverter, especially if a power outage proved to last a few days and we would need to plug in other devices to the inverter. The difference in price was noticeable, but not crippling for our peace of mind in keeping our pets safe and their devices working identically to how they do when the power is on. Please know, a Modified Sine Wave Power Inverter likely would have operated just fine, but we opted for the Pure Sine. All things considered, we found the COTEK 1000 Watt 12 Volt Pure Sine Wave Inverter at Inverters R Us ( www.invertersrus.com ) to be the right choice for us (and more importantly for keeping our fish and lizards safe during a power outage). 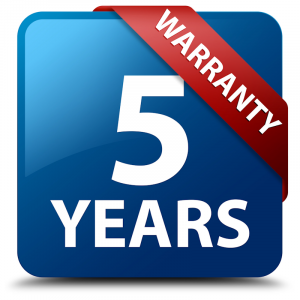 It had features we believed were important for our situation, such as a cooling fan, a 2-year warranty and an energy conservation mode. Also, we were able to get information on the types of batteries we’d need to ensure we had enough power to last us a few days in the event of a big power outage. Now, instead of running to the cupboard for towels and blankets every time the power goes out, we can turn to our trusty power inverter with confidence. In the summer, we can have power to keep our aquariums cool and pumps running. In the winter, we can power our lizards’ heat rocks and run our aquarium water heaters to keep the water temperature consistently warm and comfortable for our fish. Over the last five years, my wife and I have enjoyed having reptiles and fish as pets in our apartment. We live just outside of Chicago in a town called Libertyville, where, just like Chicago, we experience chilly winters and hot summers. The first time our power went out, we didn’t think much about our lizards and fish because the power came back on within 20 minutes. However, the next time it went out, we were running around trying to think of how to keep our lizards’ heat rocks running during a power outage. This was the middle of February and the apartment was losing heat quickly. We thought the fish would be fine because they were in large aquariums that would lose heat more slowly (typically the large amount of water will save aquariums in a power outage). We covered the lizard cages in towels and blankets. In our largest cage with our Bearded Dragon, we even put in a pair of those hand warmers you usually buy at the grocery store checkout line. I wrapped a pair of those in a dry washcloth and put it in the corner of the cage. However, I was concerned with how hot they got. Of course, I couldn’t Google to see if this was safe because we had no power, and therefore no Internet. Having narrowed down our options to what appeared to be the right choice—a power inverter—we now needed to purchase a power inverter for our reptile and fish tanks … something we knew nothing about. To read about how we came to a decision that was right for us, click here to read Save Aquariums in a Power Outage: Keep Fish and Reptile Pets Safe with a Power Inverter (Part 2). -Sean C., Salt Lake City, UtahI’ve been spinning records for about 8 years. I started by playing music at my friends’ parties and soon I had multiple inquiries about how much I charged. So, like anyone with an entrepreneurial mind would do, I started charging. Now, 8 years later, my calendar stays consistently booked. And, when I’m not booked with a professional gig, I like to do what I call “pop-up” sets. I’m pretty in-tune with the scene in Salt Lake City and I can usually catch wind of where the big parties or events are happening. Plus, because I’ve been doing this now for a while, people in my network will tip me off to events that are somewhat private that are coming up. I like to show up and bring music to these parties—or better music, should they just be playing music through an iPod or something. Being mobile is what gives me an edge as a DJ. When I was looking into my options for mobile power, I was able to zero in on power inverters right away. A gas-powered generator doesn’t travel well. Plus, believe it or not, I do like to play some mellower songs from time to time and it’s nice to not have the sound of a running generator in the background. Also, I like to set up inconspicuously when at all possible and then start the music as a surprise. Having to crank on a generator first would defeat the point. More so, some of the events I do are inside large airplane hangars, industrial buildings or even in abandoned mines. So, the thought of running a gasoline-operated generator makes me dizzy just thinking of the fumes. With a power inverter, however, I have the battery and the inverter itself assembled into my setup. I can roll in my speakers, records and turntables on one mobile cart I built. I’ve fashioned the battery and power inverter right into my setup so that it’s always plugged in and ready. I even have a backup battery stored in the bottom of the records should I ever forget to recharge the battery at home after a gig. The setup rocks. It’s simple, mobile and lets me pop up in places where people don’t expect there to be good music coming through a professional system. Growing up in Burlington, Iowa, you learn to love two things: Iowa Hawkeye football and tailgating before Iowa Hawkeye football. Going to college at the University of Iowa means you really learn the ropes of tailgating, but you’re usually still a broke college student, so you make do. Then, upon graduation and getting a “real job,” you continue tailgating but are able to bump it up a notch, moving from canned beer to blended cocktails on warm days and hot toddies on the chilly ones. Nothing beats being out in the parking lot of the stadium with thousands of Hawkeye fans of all ages. However, how you do it makes all the difference. Meeting my now-husband was a big step forward in my tailgating game. He had propane heaters and a long-bed pickup truck. Our first year together, we roughed it in some areas, but stayed warm thanks to the heaters, which were a big hit with all of our tailgating neighbors. Then, each season, we started adding to our artillery. Eventually, we had done just about all we could with battery power and charcoal. It was time for an upgrade. Those who had elevated their game to the RV-level were living in luxury out on the blacktop. We weren’t quite there yet, but we were ready to bring about the ability to cook food, watch TV, blend drinks, listen to the radio and keep ourselves toasty. For that, we needed power. We pack our truck full. We’re talking chairs, heaters, grills, coolers, more chairs, games and lots of Hawkeye gear. There’s no room for a clunky generator. Plus, we’d heard some stories from our tailgating friends about getting complains for their noisy generators. So, we looked into battery power for running our blenders, crockpots, foot heaters, heated blankets, coffee pots and TVs. We found out after some research that a power inverter could convert the power from our truck’s battery into AC power for our electronic, “plugged” devices. Great! 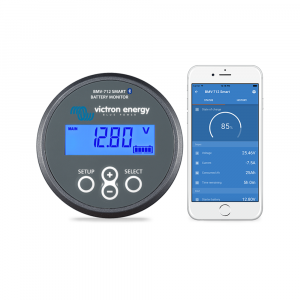 We quickly grew tired of monitoring our usage and being concerned if we were draining our truck’s battery too much. Therefore, we bought ourselves some deep-cycle batteries and let the worry slip away. On those cold Iowa days, we liked having the peace of mind that our truck’s battery was going to start after a long, fun day. Having the dedicated deep-cycle batteries, we were tailgating superstars, making blended drinks, keeping a hot pot of coffee on and offering our guests heated blankets why they lounged at our tailgate station. Come to find out, we became the envy of our tailgating friends and inspired them to move to the DC to AC power inverter way as well. I guess one hot drink under a heated blanket goes a long way for enjoying your time out on the pavement in front of the stadium! Stay up to date on all of our latest news, announcements and specials by visiting our social media pages or by contacting us directly at 866-419-2616.